Lynn Davis, tribal administrative director, is hoping a local person will take advantage of a local business opportunity. Tribal Utilities has caskets available for purchase by tribal members. These are mostly made by carpenters at Omak or Yakama. Tribal Utilities makes the outer boxes. Utilities will also make caskets, in cases where the Omak caskets from the Yakama builders are not the right size. 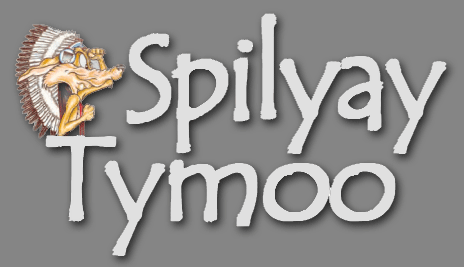 Lynn is thinking a local person could take over carpentry work, creating a small business, instead of having the tribes bring in the Omak caskets. 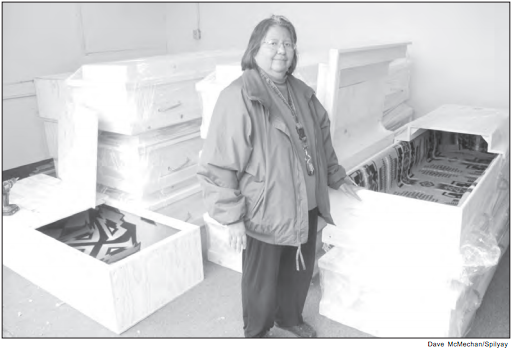 The Omak caskets are $1,000; and others from Yakama are available for $550. The outer box costs $260.George Aguilar Sr. has a casket service that is available to tribal members, by special order. If you would like more information on the idea of taking over casket carpentry work, contact Lynn at tribal management. For information on the caskets, call Utilities at 541-553-3246; or the Vital Statistics Department at 541-553-3252. This entry was posted in Business, Community, Health, Obituaries. Bookmark the permalink.